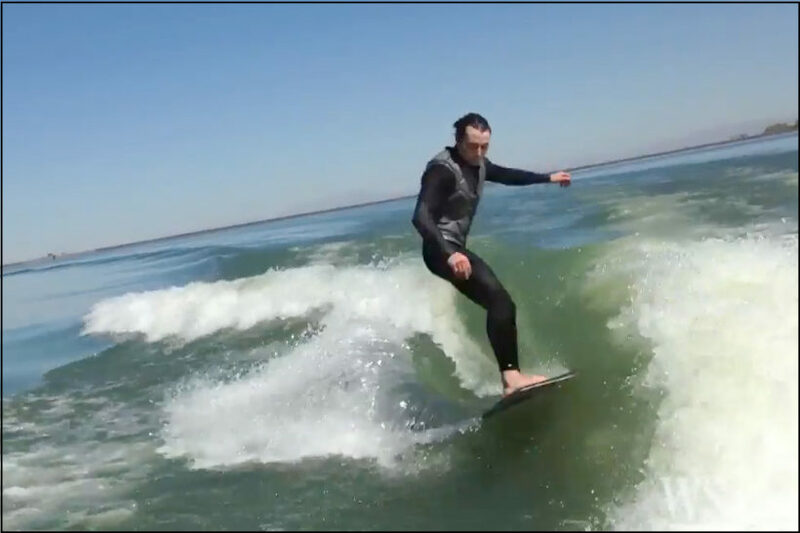 Justin Harrison is fighting for the right to surf in Idaho. This type of surfing needs no ocean. It is called wakesurfing, and it lets someone surf, untethered, in a speedboat’s wake as though riding a briny wave. Boats designed for wakesurfing are hot sellers at Idaho Water Sports, the shop Mr. Harrison manages, and elsewhere. On a recent day on Lake Lowell, he drove a boat while employee William Nunnelee followed 10 feet behind, carving the wake on his surfboard. “It’s really opened up a huge market that wasn’t there before,” says Mr. Harrison, adding that he knows of one wakesurfer in his 80s. Wakesurfing can be done with boat and rider going 10 miles an hour, making wipeouts easier on the body than those from water skiing or wakeboarding. That forgiving dynamic has made wakesurfing popular from inland Texas to South Dakota, hundreds of miles from the nearest drop of salt water. As the season begins, the sport’s fans are dropping back into their beloved perpetual waves. But its leaders are girding for an endless bummer: Critics keep pushing back against the specialized boats that create swells for surfing. Lakeshore homeowners and conservationists worry that the boats, with wake-enhancing devices, could erode shoreline or disturb wildlife. Bans on wake-enhancing devices have taken hold at lakes in Oregon and Iowa. Pennsylvania officials have fielded complaints about disturbance and damage allegedly caused by wakesurfing boats. In Idaho a few months back, the U.S. Fish and Wildlife Service planned to ban wake-enhancing devices on Lake Lowell, a popular recreation area in Idaho’s Deer Flat National Wildlife Refuge. Federal officials were worried about the impact of boat wakes on wildlife including the Western Grebe, a bird listed by the state as “imperiled” that nests on the lake’s surface. The birds are known for their balletic mating rituals. Mr. Harrison argued that other boats also make big wakes, and that wakesurfing boats shouldn’t be singled out. Federal officials backed off the ban, and agreed to allow wakesurfing outside of designated no-wake zones. Versions of wakesurfing have existed as far back as the 1950s. But it wasn’t until recent years that wakesurfing took off, propelled by people seeking a gentler watersport and by equipment that made it safer and easier. To get going, wakesurfers sit in the water with their feet on a short surfboard and grip a rope tied to the boat. The boat accelerates and pulls the rider up onto an edge of the wake. The rider then drops the rope and surfs like he’s at Malibu Beach. Surfers can ride as long as the boat can go. Wakesurfing boats have an inboard motor with the propeller tucked away from the surfer. Onboard mechanisms pump hundreds or thousands of pounds of water into ballast tanks that weigh down the boat and augment the wake. One manufacturer even makes a remote control that surfers can thumb to adjust the wake’s height and length. Wakesurfing helped revive the ski-boat industry after the recession, says Jay Povlin, vice president of sales and marketing for Vonore, Tenn.-based MasterCraft. Nationwide, sales of boats used for wakesurfing and similar watersports rose 14.6% last year, outpacing the 8.5% increase of boat sales overall, according to research firm Statistical Surveys Inc.
Wakesurfing boats sell for about $50,000 to $180,000. “There’s no such thing as comprised of,” says Bryan. So a few years ago — in an attempt to remove this one, particular shriek from the chalkboard of his life — this computer engineer from San Jose, California searched for every instance of “comprised of” on Wikipedia — the 36 million page online encyclopedia. And you thought golf was a boring hobby. Yet to Wikipedia’s volunteer editors Bryan is a rock star. “He’s like my hero, he’s amazing,” said one attendee. And what’s even more amazing is that to this day if anyone ever adds “comprised of” — as I secretly did to my own Wikipedia entry the night before our interview — Bryan has written a computer program that instantly roots it out. My entry, “Hartman’s family is comprised of a wife and three children,” was changed. I now have a family “composed of” a wife and three children. I really wanted to know how a guy gets like this. So I went to see the one person who has known Bryan as long as anyone — his older brother, Robin. “What do you think this obsession is based around?” I asked. “You said ‘based around!’ You did that on purpose didn’t you?” Robin answered. “The movie was based around the book, not possible,” said Robin. It all sounds so trivial, but I think the Henderson brothers would agree: our world is based around rules and the army to enforce those rules is comprised of all of us — although, obviously, they would have phrased it differently. 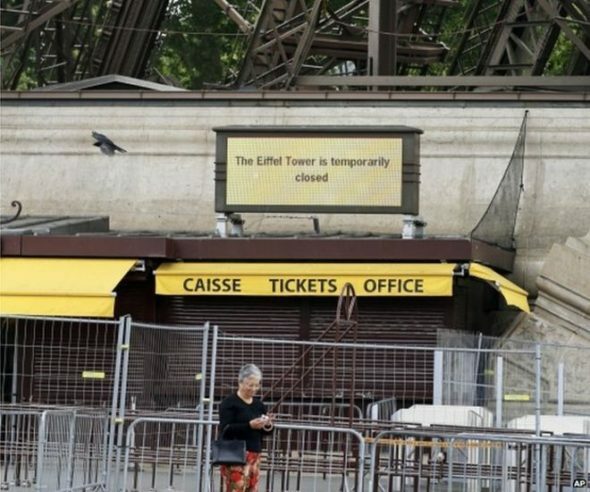 The Eiffel Tower in Paris has been closed to the public as staff stage a walk-out to protest against a surge in pickpocketing gangs in its area. The company managing the major tourist attraction said it was working with police to guarantee the security of staff and the public, but “regrets that visitors… are being punished”. 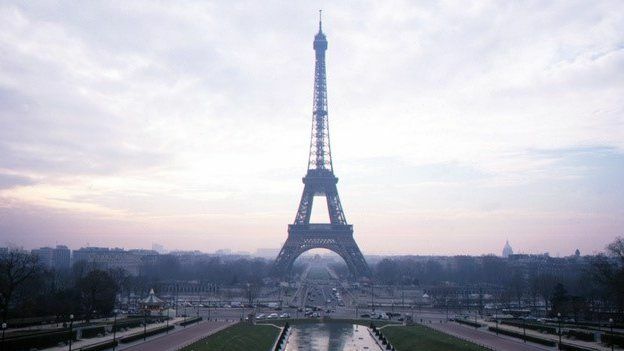 The 126-year-old iron lattice tower has become a glittering symbol of Paris. Staff say that “formal guarantees” are needed from management to stop pickpocketing gangs who target numerous tourists every day. The thieves “form a gang of four to five people”, and sometimes there can be about 30 of them surrounding the tower, one of the striking workers told the AFP news agency. Occasionally they even “fight among themselves”. Eiffel Tower workers say that pickpocketing gangs have made life a misery for them and for tourists. The area around the tower has become a magnet for tricksters and pickpockets who especially target Asian tourists. Paris hosted 22 million visitors in 2014 according to city figures, and is one of the world’s top tourist hotspots in addition to being a magnet for tricksters and pickpockets who especially target wealthy Asian tourists. The tower will re-open to the public on Saturday.